Many people are not diagnosed with hyperopia without a complete eye exam. School screenings typically do not detect this condition because they test only for distance vision. Your eye doctor can conduct a refractive evaluation to determine whether your eyes focus light rays exactly on the retina at distance and near. 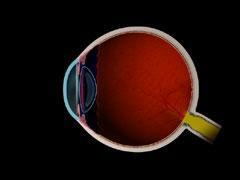 A visual acuity test will determine your ability to see sharply and clearly at all distances. Your eye doctor will also check your eye coordination and muscle control, as well as your eyes’ ability to change focus. All of these are important factors in how your eyes see. Other types of refractive errors include: nearsightedness and presbyopia.